I don’t know about you, but in the month of July, we have a constant need for popsicles, ice cream, and other yummy frozen treats at our house. We have a freezer in our garage where we store most of them. I recently came across a few ideas to help you get more enjoyment out of your tasty summer treats. 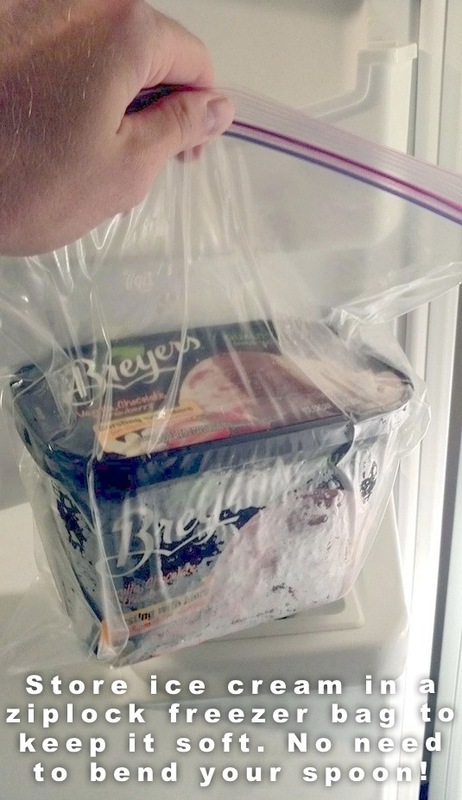 1) Store your ice cream containers inside a ziplock freezer bag. This helps prevent your ice cream from getting that nasty freezer burn so that it stays fresh longer. 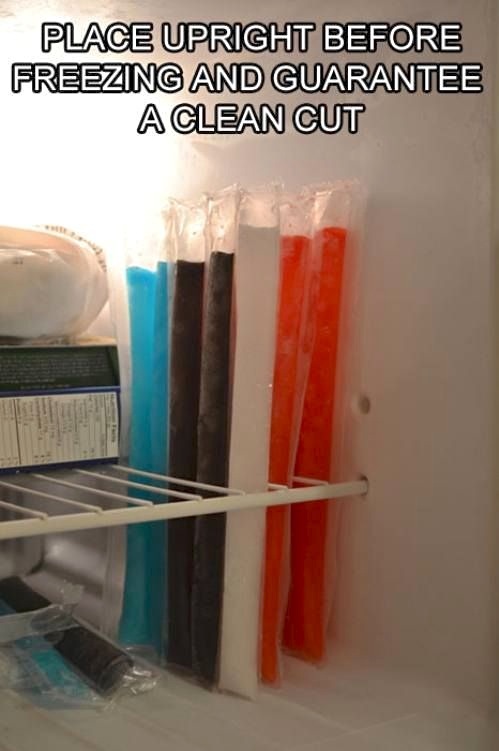 2) Freeze your Otter Pops right side up. This one may seem kind of silly, but if your family eats a lot of Otter Pops, you’ll know why this is so awesome. Otter Pops are difficult to open so we usually resort to using the scissors. Every time I cut off the top of one, a big chunk of the frozen juice spews across my countertop and my scissors get all sticky. Wouldn’t it be nice to just cut the top off without having to clean up a mess too? 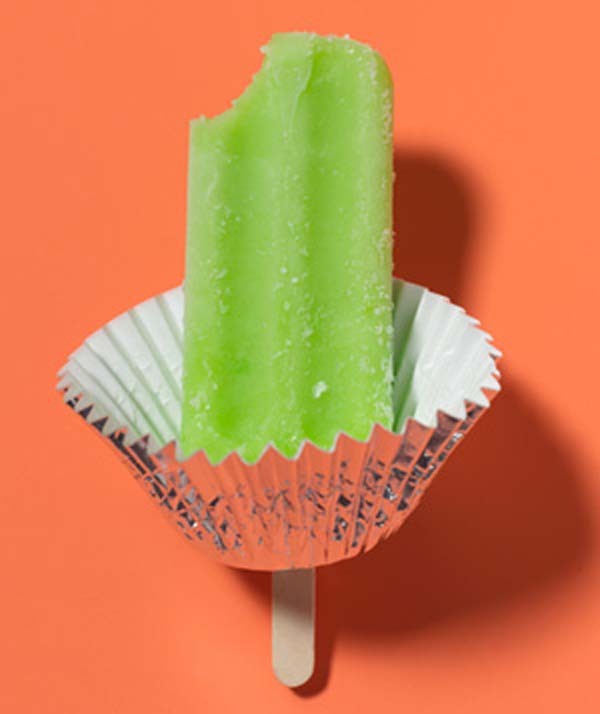 3) Use muffin papers as a drip catcher for the kids’ popsicles. No one really likes sticky popsicle hands. My kids can rarely finish a popsicle before it starts to drip all over them. Sticking a muffin paper through the stick, so it sits on the bottom of the popsicle, is a great way to catch drips. Using an aluminum muffin paper works better than the thin paper ones. There are also some companies, like Zoku ( www.zokuhome.com), that make popsicle sticks with built-in drip catchers. 4) Just stick-in a popsicle stick and call it good! I always want to make my kids homemade, healthier popsicle treats, but sometimes, it’s just too much work or requires time I don’t have. I love simple ideas, and this is one of them. Buy your favorite yogurt, stick a popsicle in it, and then freeze it. 5) Use a warm paring knife to help you scoop out that super hard ice cream. We all know how frustrating it is to try and scoop out rock hard ice cream. I’ve tried warming the ice cream scoop under running hot water, which does help. This YouTube video from America’s Test Kitchen combines the idea of warming the ice cream scoop with using a warm paring knife. It is sure to make your next “ice cream scoop-out” much easier! I hope you have a wonderful summer filled with delicious frozen treats!